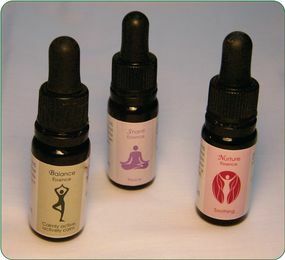 This range of vibrational essences have been co-created using either a single vibrational imprint (or energy signature) or a combination. Crystalline energies from the mineral kingdom. Energies relating to the natural cycles and rhythms of the Earth, including planetary and lunar influences. Energy of sacred spaces such as temples or ritual spaces. Environmental energies. Places in nature often have a deva which acts as guardian or overarching spirit. It is with this guardian's permission that the energy signature of a particular place is captured. Essences capture the energy imprint of a space, place, plant, flower or mineral. When you take a vibrational essence your energy system begins to harmonise with that specific energy. It's healing in a bottle! The environment is not disturbed during the process of making of these essences. They are made with love, respect, prayer and intention. The energy signatures are captured in water and then preserved for longevity in brandy. How are the essences used? The most common use is to take an essence internally, under the tongue, over a period of 1 to 2 weeks. However, our energy system responds to essences being taken in various ways: for example you can put drop put on to a chakra point, or in to your bathwater, or mix into cosmetics such as shampoo or body moisturizer. Essences can be taken alongside any allopathic or herbal medicine. Generally Homeopathy is not taken at the same time as essences as it is also a form of energy medicine. The suggested dosage is 3 drops twice a day, morning and evening under the tongue. A 10 ml dosage bottle will last around 2 weeks. The essences are suitable for children under 12 and pets with the recommended dose one drop twice a day diluted in water. What is an essence consultation? The rational/logical approach - When you have decided which issues you wish to treat, you can either read through the essences list on the website to see what would be most helpful. Choosing intuitively - Using your inner knowing, dowsing or muscle testing are all powerful ways of choosing essences to work with or to double-check a selection that you have made rationally. Allow yourself a quiet space to focus within and to ask for the help of your Higher Self. It may be that you have chosen more than one essence and want them combined rather than to purchase each essence separately. In that case, email Cherie and she can make a combination bottle up for you.